From 2,500 to 250,000 we can deliver your message on any door in Southern California! 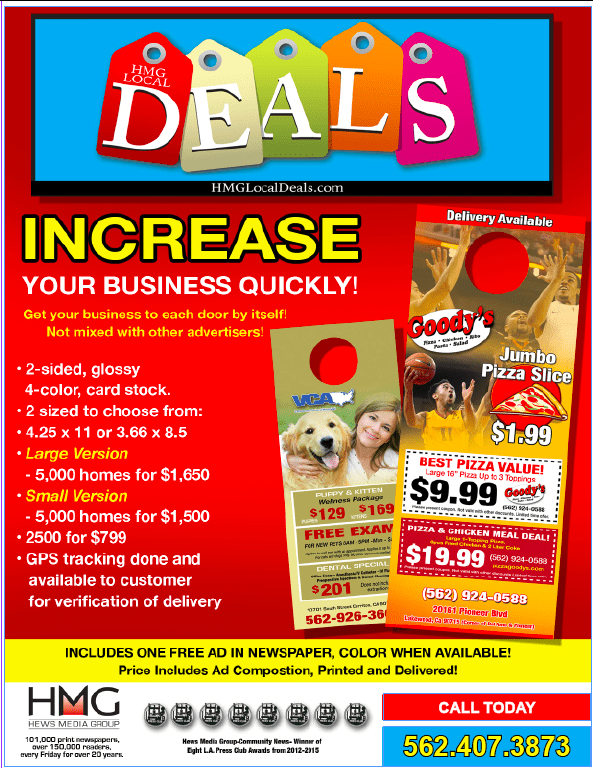 Hews Media is your one-stop shop for door-hangar advertising. We will design, print, and deliver your message within days of ordering. And best of all you can be assured of proper delivery…..
All of our delivery personnel carry GPS tracking devices with them at all times so you know your message was delivered. We will give you a website address so you can watch delivery, giving you piece of mind knowing that your advertisement made it to every door!